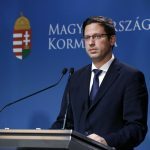 Not just Hungarians, but most Europeans are dissatisfied with EU measures against illegal immigration, Antal Rogán said, citing an international survey by pro-Fidesz think tank Századvég. Under the Juncker-Timmermans European Commission, one of the most important member states left the EU, while more than 2 million immigrants flowed in, he said. The unsuccessful integration of these immigrants has led to a security crisis and a heightened risk of terrorism, while more immigrants are massing along the borders waiting to get in, he added. He said the danger is not past but could become permanent if left-wing, pro-immigration parties continue to validate their interests in the EU leadership after the May EP elections. 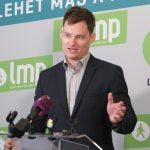 The social democrats, liberals and green parties believe immigration is a fundamental right and their leaders would allow masses of foreigners into Europe, awarding them migrant debit cards and migrant visas, he added.